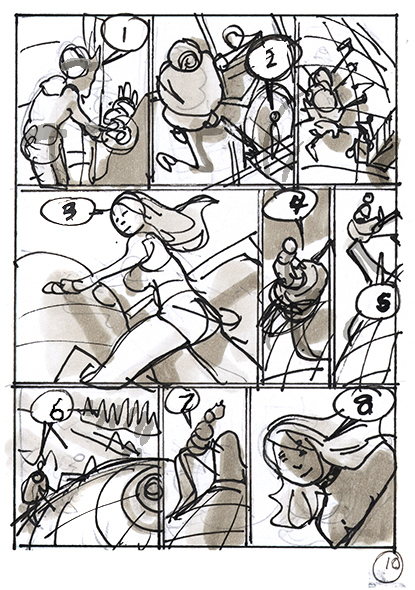 Here's how I made Songes Tome 2 Page 10. 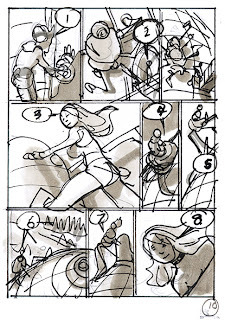 The first step is alway the storyboard - to ease any problems in the translation - and for the writer, Denis-Pierre Filippi, to approve before I draw the pages.The storyboards are done at 3 x 4 " on 8.5 x 11" paper with Blue and HB Pencil, Pitt Pens and Copic Markers. 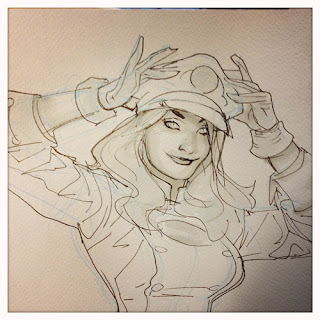 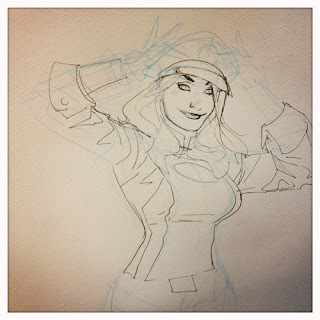 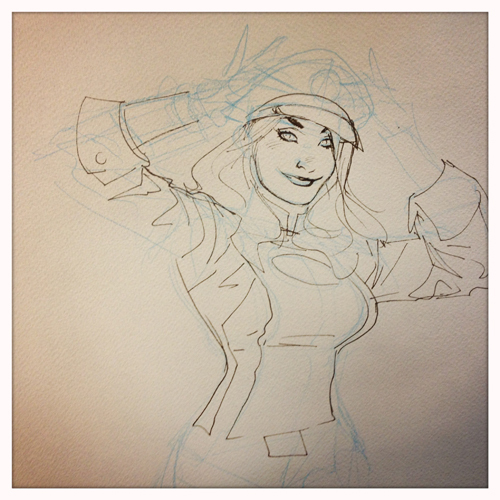 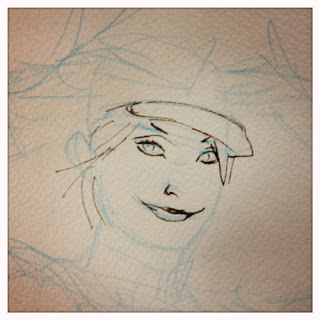 Here's the beginning stage of the pencils. 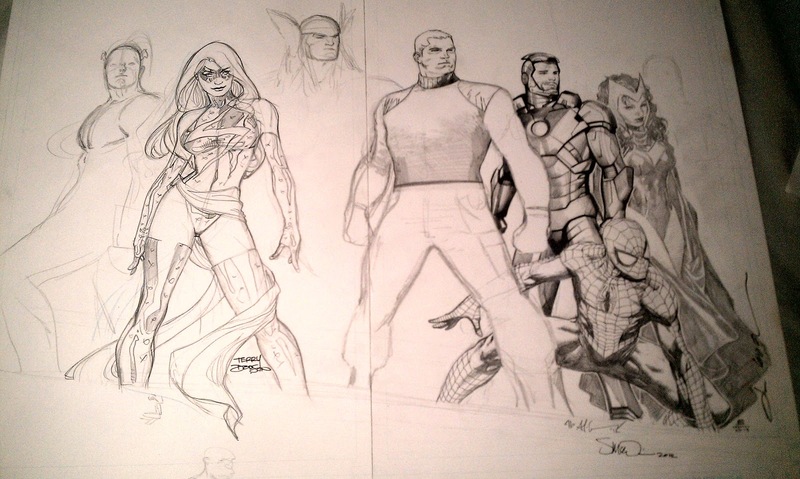 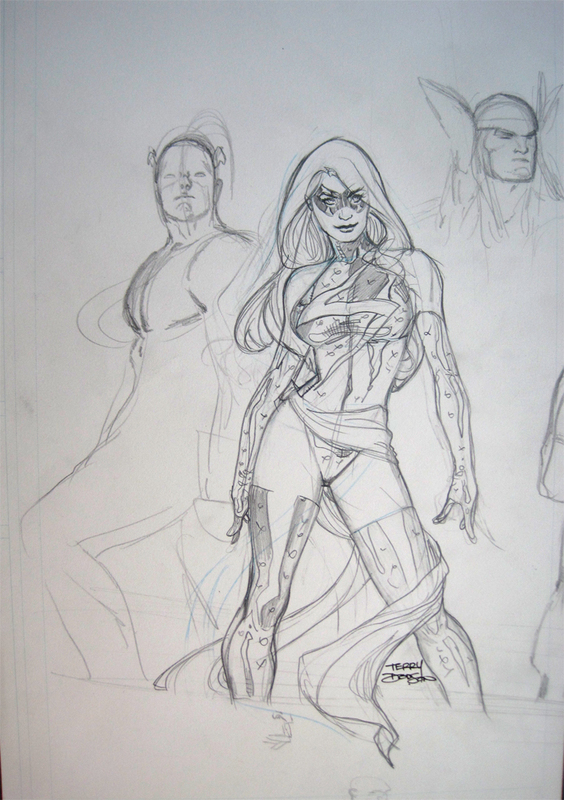 Here's the scan of the pencils. 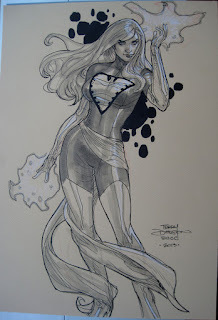 Drawn on 13 x 19" 2 ply Bristol Board with Blue and HB Lead and borders ruled with .80 tech pen. 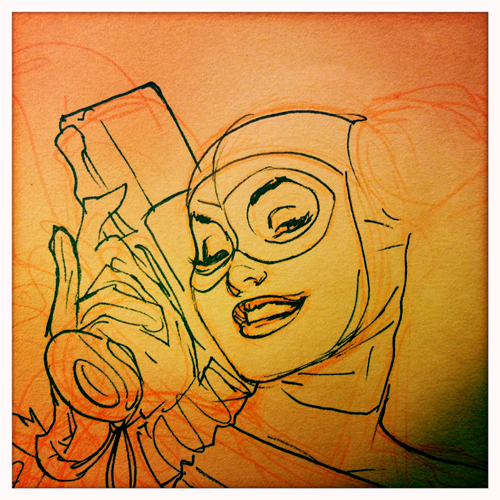 So I shoot from these the pencils so they are very tight (for me)! This is part of an Avengers jam piece started by Olivier Coipel that is on a double page spread with different artists drawing each character and then one inker inking the whole thing. 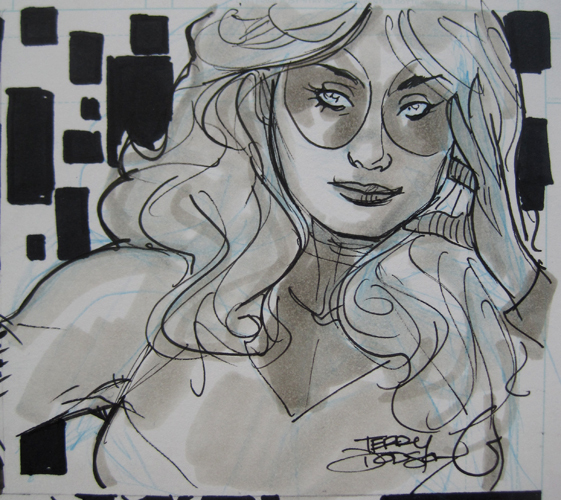 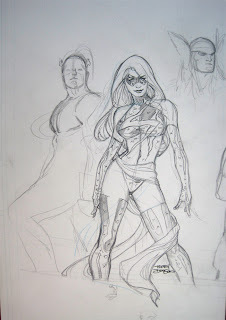 I think, my very first Lady Blackhawk convention sketch, from Emerald City Comic Con, Seattle, March 1-3, 2013. 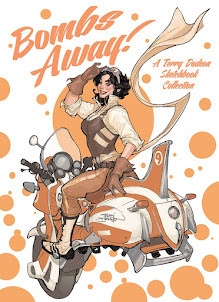 I was reminded I drew her on a Birds of Prey cover! 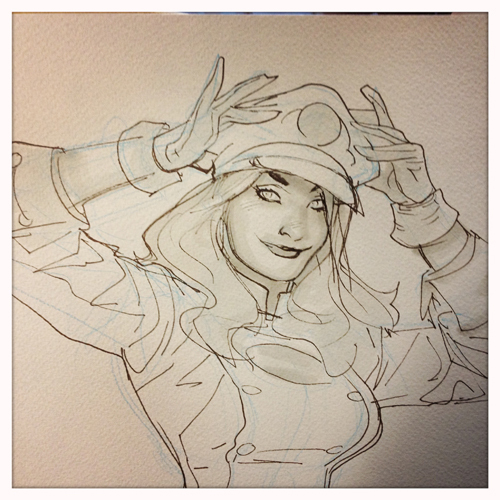 Quickly laid Light Blue Col Erase pencil and then POW! 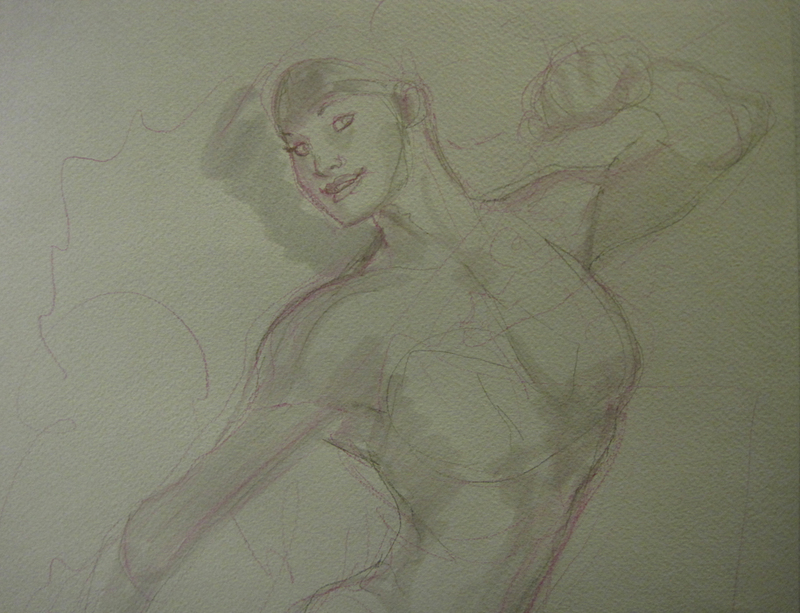 into the inks with a Pitt F pen. 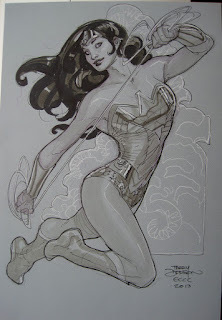 After outlining with F, went in with 2 and 3 Warm Copic Markers. 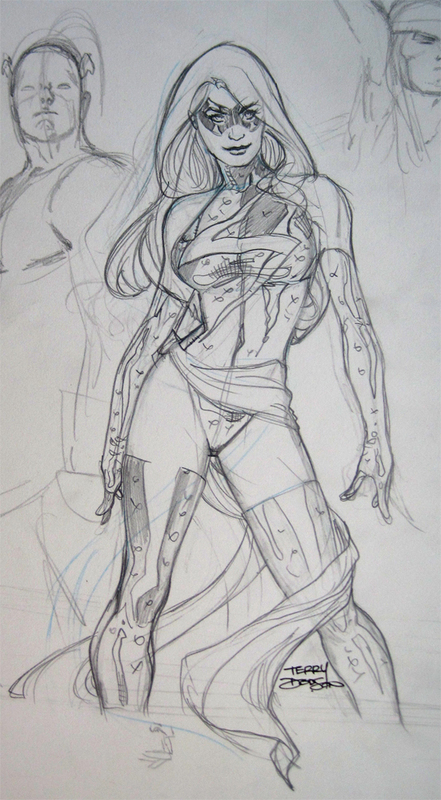 Sketch drawn on 11 x 16 Canson Mi-Teint Paper. 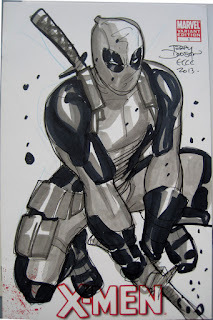 Here's Marvel Comics Deadpool drawn on an X-Men Blank Cover from Emerald City Comic Con, March 1-3, 2013. 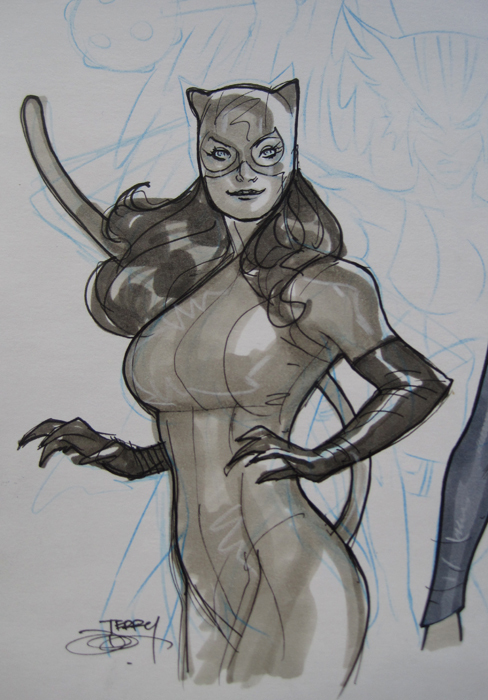 This is one of the few times I've drawn the character, fortunately the owner brought me ref to guide through! Here's how I created my Wonder Woman convention sketch from Emerald City Comic Con, Seattle, March 1-3, 2013. 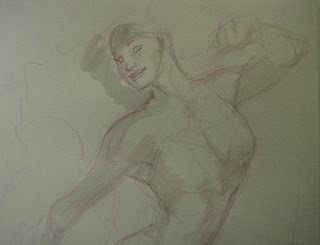 My initial quick rough in with a Scarlet Red Col Erase Pencil and roughing in the greys with Copic Warm Grey 2. 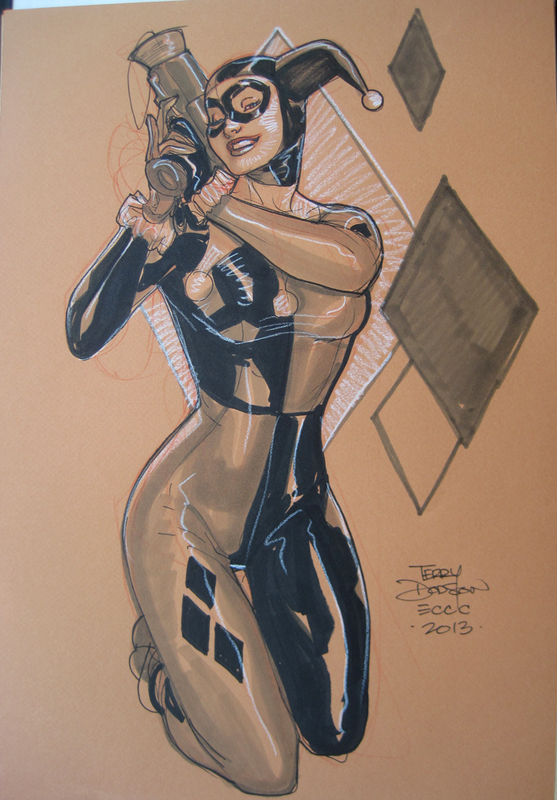 Here's my Harley Quinn convention sketch from Emerald City Comic Con, Seattle, March 1-3, 2013. 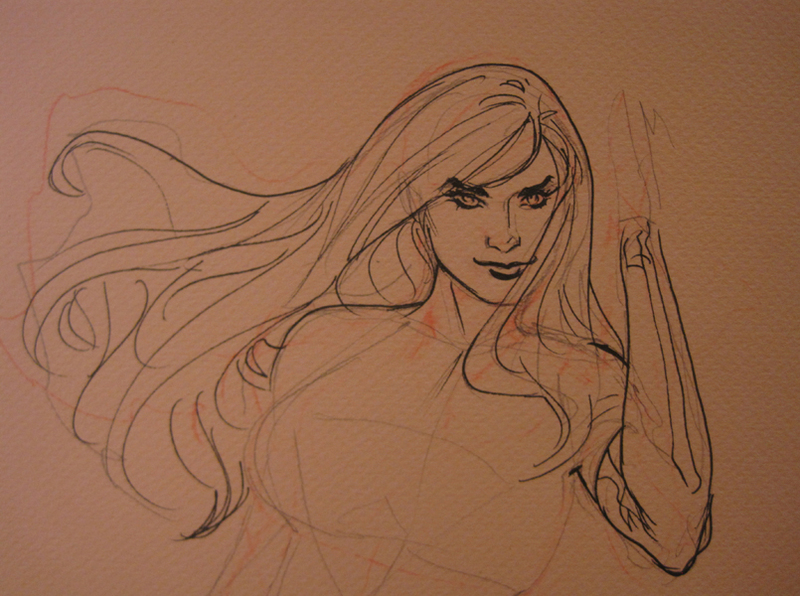 My initial quick rough in with a Scarlet Red Col Erase Pencil and then inking with a .5 Copic Mulitliner. 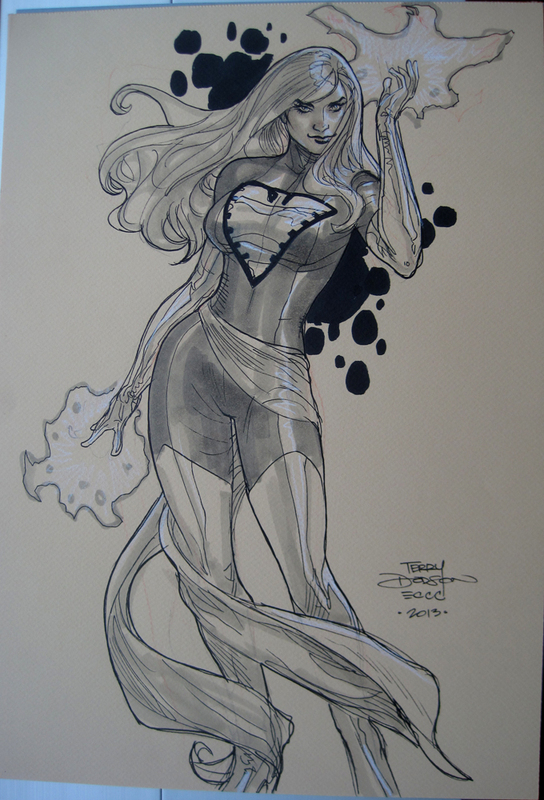 Here's the Phoenix convention sketch from Emerald City Comic Con, Seattle, March 1-3, 2013. 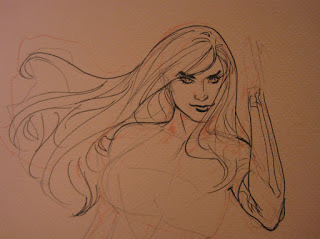 My initial quick rough in with a Scarlet Red Col Erase Pencil, a little HB to tighten and then inking with a .5 Copic Mulitliner. 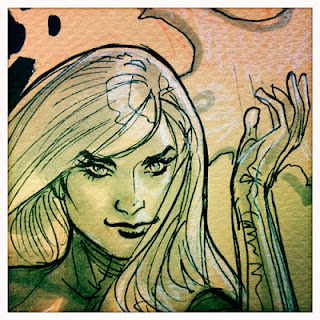 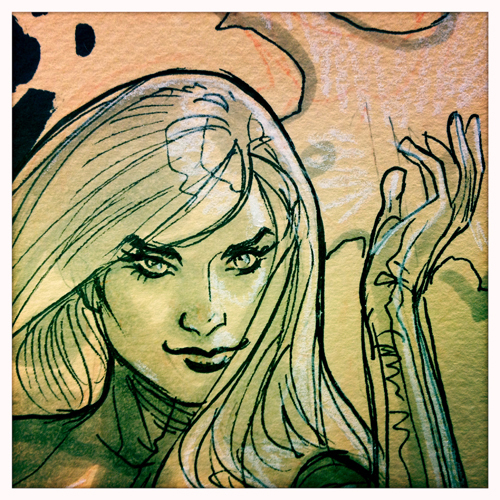 Detail from the final sketch.